There is nothing in the world that compares to the fury and wrath of mother nature. When nature is in a destructive mood, the events that follow are equal parts terrifying and awe-inspiring. The many forms of natural disasters are enough to keep us humans on the tip of our toes and keep us in a state of constant fear. Our degradation of the environment plays an equally important role in the eventual destruction that the Earth inflicts on its inhabitants. Here is a list of 10 amazing pictures that manage to perfectly showcase the truly destructive powers of our planet. 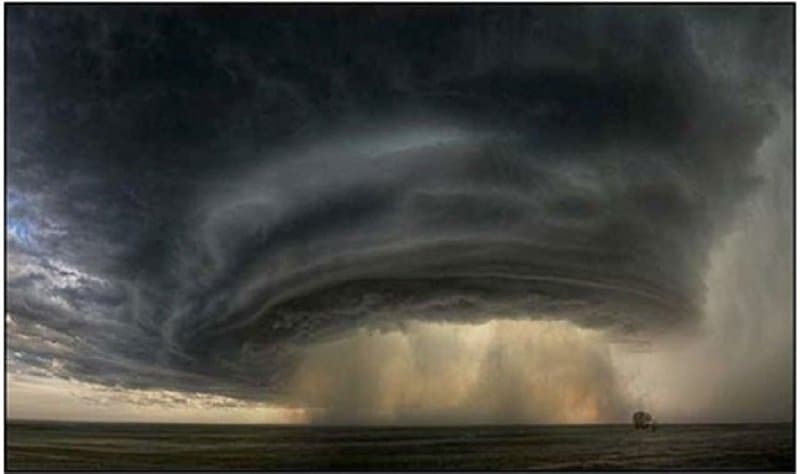 When you witness a supercell thundestorm, it is a sight that you will never forget. These natural monstrosities are a common sight in certain regions, such as Montana in U.S. This particular picture was taken by Sean Heavey. 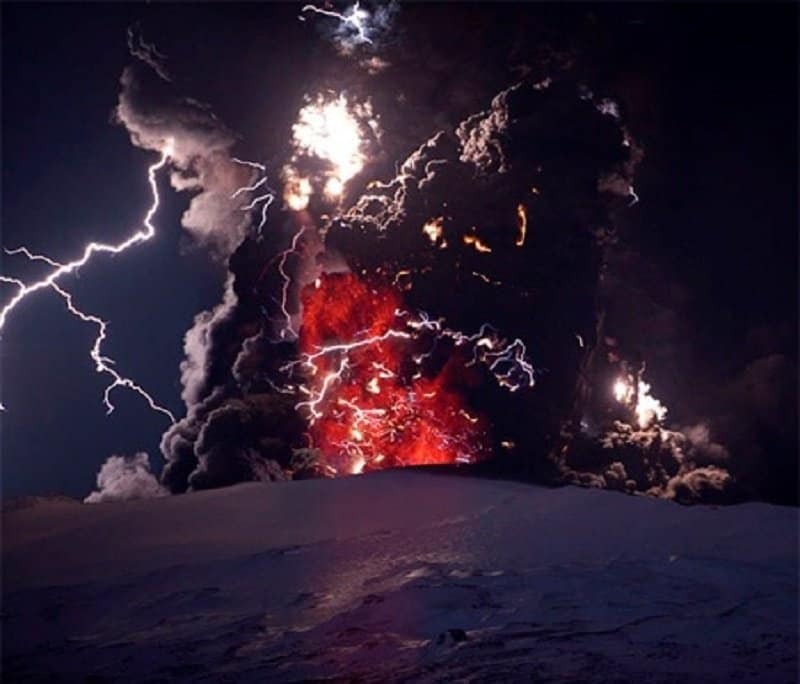 This massive eruption took place in the Eyjafjallajokull Volcano in Iceland in March, 2010. The impact was enough to ground airlines and holiday goers for a substantial period of time and the physical manifestation included lava, rocks and ash spewing into the sky. California is a region that has become notorious for its forest fires. Either there are a lot of smokers in the region, or Smokey the Bear has been slacking off big time. 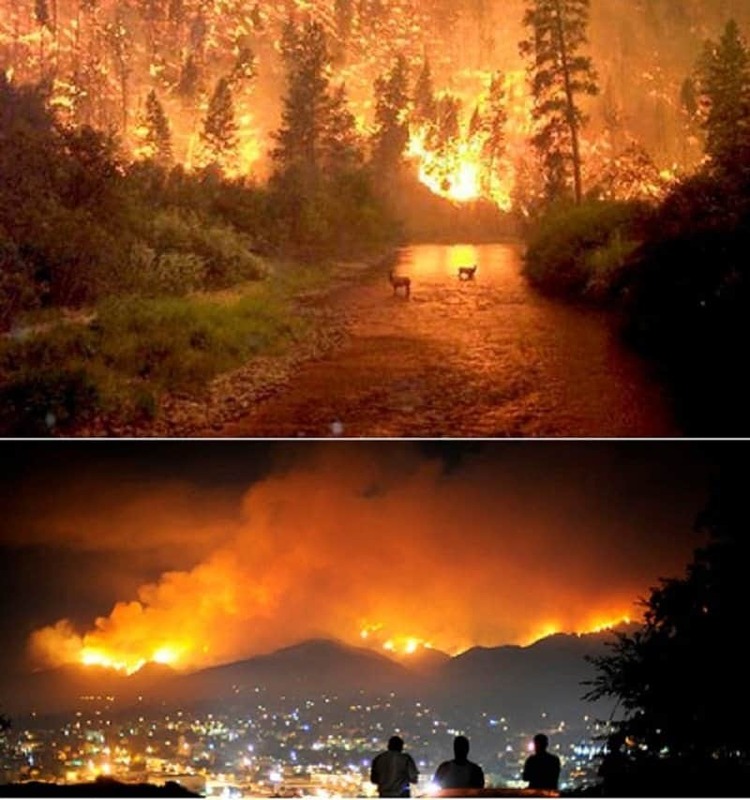 During 2009, the region experienced no less that 63 wildfires in a row. 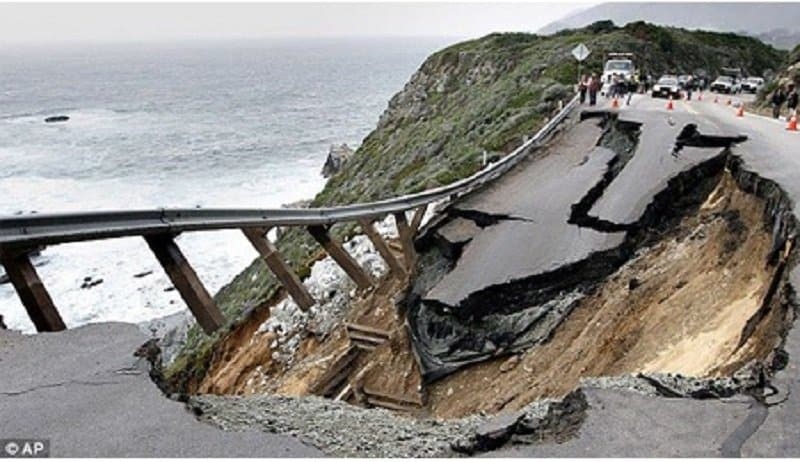 Bad roads can be a bother when you are traveling on the highway, but the landslide that Highway 1 in California experienced can put any pothole to shame. This happened on March 17, 2011 and luckily no one was injured during this occasion. 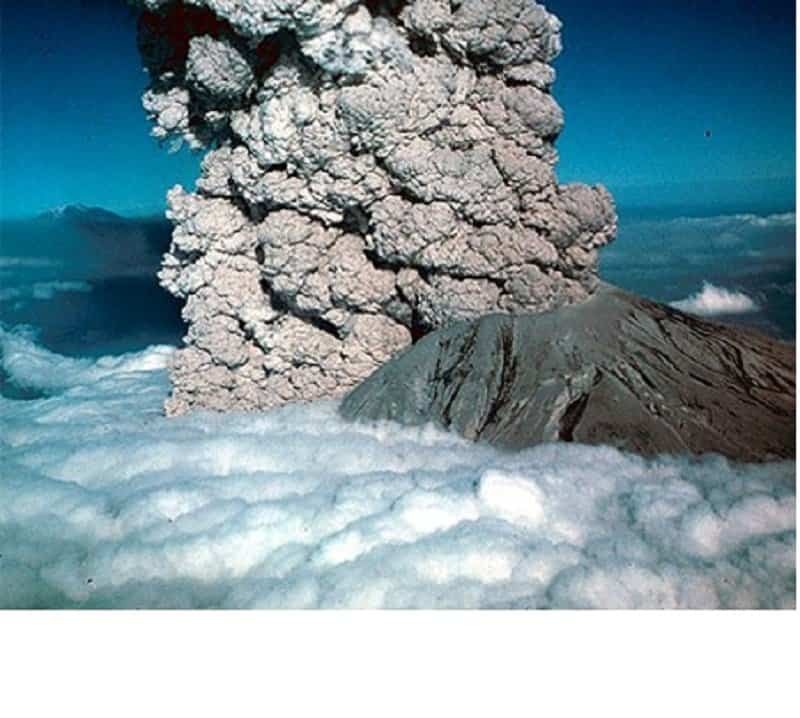 This enormous volcanic eruption occurred in 1980 at Mount St. Helens in the United States. This was the only massive explosion to occur in the region since the eruption of Lassen Peak, California in 1915. 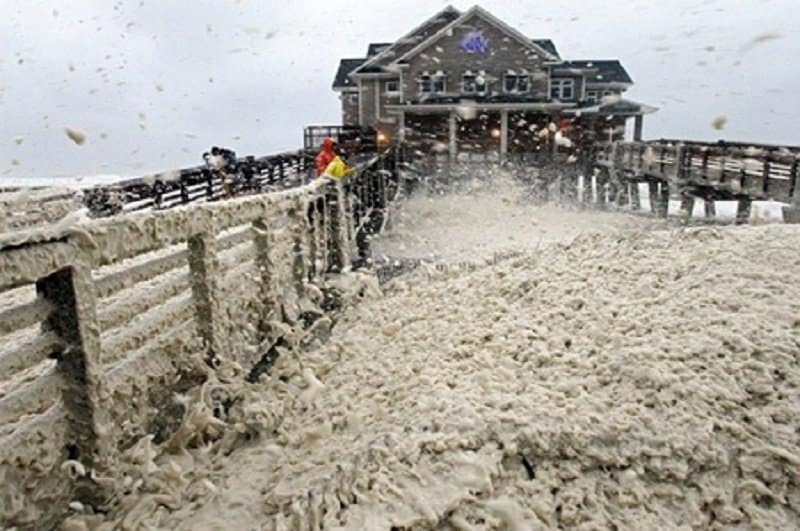 The U.S has had to deal with a large number of hurricanes over the past decade and Hurricane Sandy has got to be one of the worst. It is in fact the second costliest hurricane in U.S history, one that sadly cost 286 people their lives. 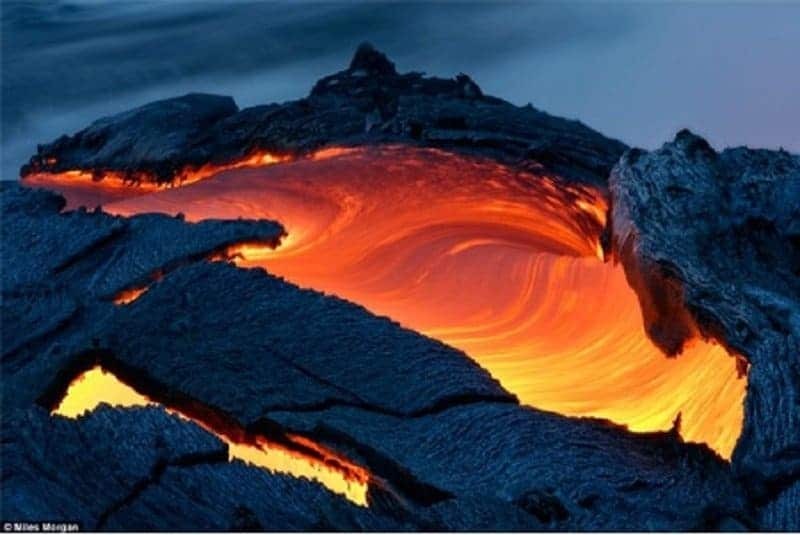 This interesting image was captured in Kilauea. The location is a massive hub for volcanic activity and this image showcases the flow of lava into the nearby ocean just before dawn. 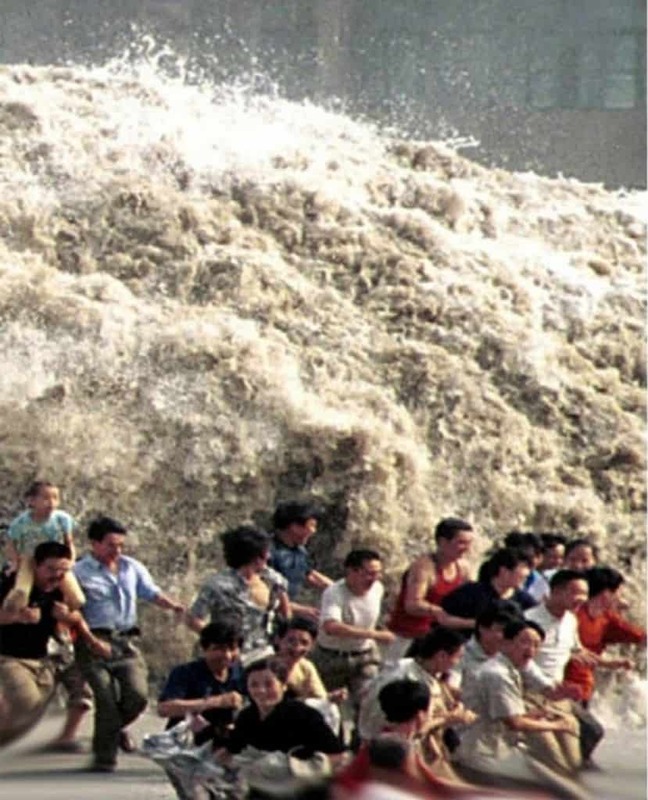 Experiencing a tsunami can be a terrifying and scarring experience. The people of Asia have come face-to-face with the beast over the past decade several times and it has left a huge mark on the population. This stunning picture was taken by UPI photographer Carlos Gutierrez during a volcanic eruption in Chile on May 3, 2008. 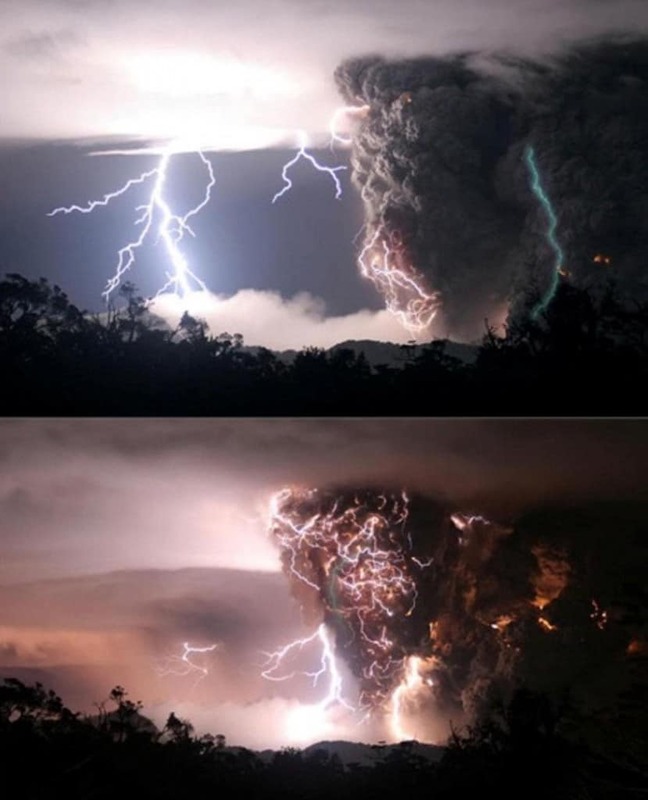 The eruption was accompanied by a massive storm during the middle of the night that combined to create some chilling visuals that display nature’s fury. 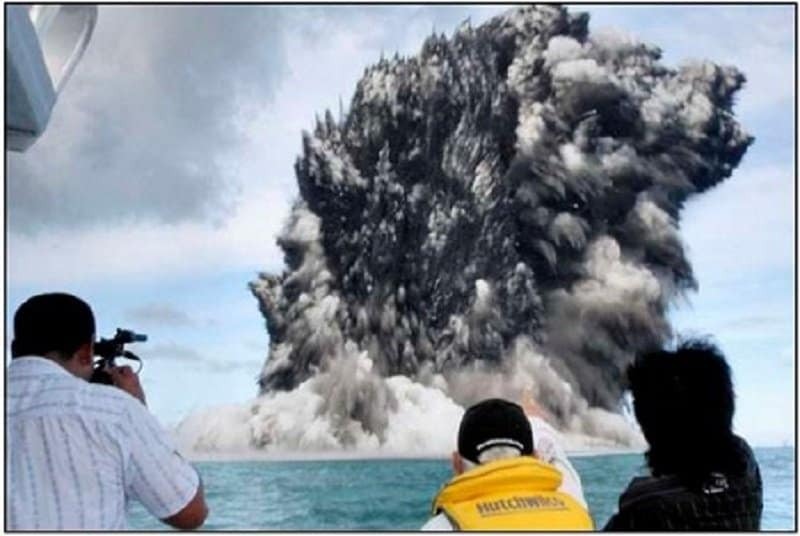 This massive undersea volcanic eruption occurred in Tonga, Polynesia in 2009. The ripple effect of this eruption was so severe that a massive earthquake measuring 7.6 on the Richter scale broke out just four days later.